For any business, organization, information and IT equipment are vital assets, more so for a knowledge-based organization. All information exists in the digital format and every activity an organization is involved in deals with handling information in some form over the IT equipment. Disposal of existing IT assets comes up when an organization is looking to upgrade its systems. An IT Assets Disposal (ITAD) Policy is a policy that governs the secure disposal of those IT equipments which the organization is no longer going to use. Any information that an organization was pertaining to its clients, suppliers, consumers, etc. Is privileged information and as such sensitive. It is of great value and should be protected at all times. It is thus important to lay down the rules of how the IT equipments are handled during the workday and even beyond. The same rules apply when the equipment is being disposed of. The equipments need to be sanitized in order to protect such sensitive information from falling into the wrong hands creating privacy issues or in the hands of the competitors. Whether an organization decides to donate its IT equipment or sell it for scrap or hire a third party to deal with them, it is important to identify what constitutes as ‘IT equipment.’ The other thing which the organizations need to identify is sensitive and personal data. Categorizing data can facilitate their ‘treatment’ when equipments are being refurbished. Most ITAD and remarketing companies provide a wide range of customized services to suit the needs of their clients, reduce security risks and leaks and maximize for them their equipments’ remarketing value. De-installation: with companies spread locally and globally, keeping track and removal of IT assets can be cumbersome. 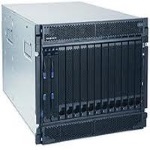 This service entails removal of all IT assets from any given site. Data erasure and destruction: simply deleting your data from your equipment may not be enough. Special software is used to wipe all data from the IT equipments before they are recycled. Remarketing: IT assets which are less than 3 years old typically have a higher recoverable value. Remarketing can help in attracting the highest market price for such equipments. Equipment destruction and certification: most companies provide environmentally safe disposal of IT hardware and provide a certificate of destruction to organizations. Logistics: picking up of equipment from the site and transporting it to the processing plant. Apart from defining an ITAD policy, it is equally crucial to maintain a practice of good documentation. A chain of custody when dealing with assets containing sensitive data is important. At any point, an organization should be able to track what process their IT equipment is undergoing and whether the data is being properly handled and erased. A solid ITAD policy can protect the company from lawssuits and endangering sensitive information.